Due to the lack of information and misinformation of Bulgarian families, infants and children in Bulgaria are still brought up using old, ineffective methods and techniques, which include violence – both physical and psychological. Bulgaria’s difficult socio-economic transition and the recent financial and economic crisis have exerted social and economic pressure on families and augmented even further the feeling of inadequacy and helplessness in parents and thereby increasing the number of infants and children victims of or under the threat of abuse, violence, injuries, long-term disabilities and coercive disciplinary methods which violate the dignity of the child. Problems with forms of violence and abuse over infants may start from the very first days of life. The uninformed and untrained parents and under the influence of exhaustion, sleep deprivation and feeling of helplessness, might involuntary cause Shaken Baby Syndrome and increased Sudden Infant Death Syndrome. The department of “Child Protection” in the municipalities have registered 2 155 cases of violence for 2010, where 81% of the victims are children who live in a family environment. For the first 6 months of 2011 are registered 1404 cases of violence. Psychiatrists explain that many of these are cases of Shaken Baby Syndrome. According to research of the Institute for Social Activities and Practices from 2010, in recent years especially pressing has become the problem of the Shaken Baby Syndrome (SBS). Not being informed and educated on how to soothe the crying infant, which is not caused by hunger, thirst, coldness, wet diaper or pain may cause the feeling of incompetence and physical exhaustion in families. The bone-deep fatigue that parents experience when their children sleep poorly is very serious. Sleep deprivation can provoke depression, illness, marital conflict, obesity and most importantly can lead to demoralization of parents and the use of violence and abuse towards infants. Other problems caused by the incapability of soothing babies include postpartum depression and suicide, increased breastfeeding failure, unnecessary high number of ER or MD visits because of crying or sleepless babies, unnecessary diagnostic tests for sepsis and acid reflux and high amount of drug prescription. There is very little information and not enough studies done in Bulgaria for the SBS and its prevention, but there are a lot of studies done in the US, Great Britain and France which led to the conclusion that the most common cause of infant and young child deaths is being shaken. Surveys of the World Health Organization show that 20% of babies die from SBS. Among children who survive shaking, the resulting injuries, sometimes called Shaken Baby Syndrome 1, Shaken impact syndrome and Whiplash, account for most cases of long-term disability among infants and young children. The surviving children may exhibit a range of disabilities, including partial or complete loss of vision, hearing impairments, seizure disorders, cerebral palsy, sucking and swallowing disorders, developmental disabilities, autism, cognitive impairments, behavior problems and persistent coma-like existence. Victims of SBS range in age from just a few days old to five years old and usually the incidents are triggered by the infant’s crying. Another problem in Bulgaria is the low percentage of long-term breastfeeding mothers. Recent studies show that at the breastfed infants are 91% at the hospital discharge, but already in the second month this percentage drops to 66%. In the 3rd month the exclusively breastfed is only 6.14%, and 50.8% are on mixed feeding (breast milk plus substitute). The conclusion is that the majority of mothers do not lack desire, but many of them start to face obstacles they fail to overcome. Among the main nursing supporters are supposed to be doctors. Still some of them give conflicting advice. In 2010 a survey was conducted among general practitioners in Pleven, which showed that 68% do recommend breastfeeding, but only 40% advise mothers to choose exclusive breastfeeding up to 6 months. In 1997, Bulgaria joined the initiative of UNICEF and WHO “Hospitals – Friends of the Baby” and undertook the engagement to perform the “10 steps” to successful breastfeeding. However, ongoing hospital reforms, the lack of equipment and funds for training of medical personnel slow down the process. Today there are many hospitals that are called “baby-friendly”, but according to a survey of HEI and UNICEF only 4.6% of the newborns in Bulgaria are put to the breast within a few minutes (up to an hour) after birth. And this is one of the 10 steps and proven way to stimulate lactation. (Data of the National Breastfeeding Committee). Furthermore, statistics show that nearly 70% of children in Bulgaria are systematically hit or physically punished at home. These facts make two-thirds of the uninformed Bulgarians inadvertent violators, who are bringing up a potentially aggressive future generation, with possible aberration in physical and mental development, somatic disorders, personality and emotional disorders and in general slow down the development of the child. 68% of Bulgarians would slap or pull the child’s ear with discipline purposes. Even people with university/college education approve such measures of “minimal violence” (Study of the National Center for Study of the Public Opinion from 2011). On one hand 83% of people consider as unacceptable for parents to use violence and coercive disciplinary methods, but on the other hand – 65% of the same people, approve the usage of “minimal violence”. This implicitly indicates that a considerable number of people have “a double morality”. On one hand, Bulgarians find admissible the use of minimal violence, while on the other hand they disagree with the use of violence, coercion and other methods which violate the dignity of the child. According to a study of the Institute for Social Activities and Practices in 2010, spanking is one of the most preferred means of disciplining children in Bulgaria. One third of the respondents claim that in the last 10 years, violence is increasingly being used on children in the family environment. 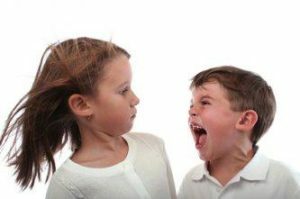 Shouting and insulting are a frequent element in the parent-child relations. The most common punishment for naughty children is subjecting them to criticism. In most cases parents and caregivers raise their voice to children. The above figures show the lack of information and awareness among Bulgarian families and leads to the proliferation of methods of upbringing, which accept the use of violence and have long term detrimental effects on the child’s development. The training of parents providing them with practical and easy-to-use techniques, which have proven to have soothing effect for babies and increase cooperation of toddlers, would decrease their anxiety and thereby diminish the risk of the use of violence. While some organizations such as UNICEF and La Leche League have made important efforts in encouraging healthy upbringing through parent education, most initiatives have targeted parents who are actively seeking information. More efforts need to be made to reach the general public and the professionals. Furthermore, initiatives for providing information, education and training should specifically target the Roma and economically marginalized groups. For one, the spatial segregation of the Roma and other economically marginalized groups leaves them with few possibilities and access to information, education and trainings and provides them with no supporting infrastructure such as community based centers which could help parents that have difficulties in providing quality care for their children. Furthermore, the stress experienced by parents due to poverty and destitution may lead to feeling of helplessness, which may be a cause of unhealthy child and infant rearing practices.